Hey Guys, I was in Kogi State a fortnight ago. If you’re on my Instagram, you already know this. I traveled from Lagos to Kogi by road. Prior to my travel, I had a bit of difficulty getting information, hence, I am putting this post out there to help you guys and some random stranger who might want to find their way from Lagos to Kogi by Road. Nice Right? From Lagos, there are two ways of getting to Kogi State. There is no Airport in Kogi State but here are a few options you can explore. Fly into Abuja , then go by road to kogi or Fly into Akure and go by road to Kogi. I did not take these options and I do not recommend them either. Since Lagos to Kogi by road is inevitable, I don’t see the point of flying. For those who are still interested in this, Road Trip from Akure to Kogi will take about 3 hours same as Road trip from Abuja to Kogi. You can book cheap flights here. 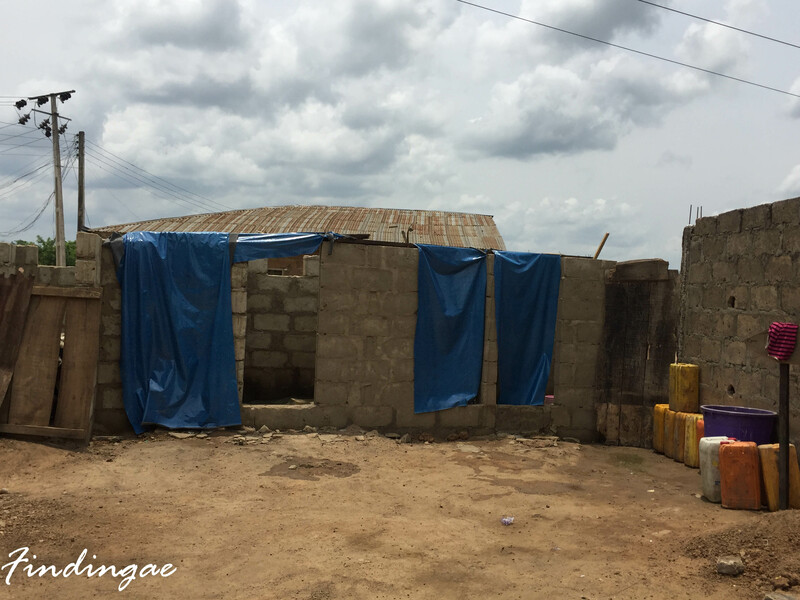 If traveling from lagos to kogi by road there are two options depending on which part of Lagos you are and which is more convenient for you. A lot of buses operate at this terminal, hence there are options but there are hardly any known transportation companies headed only to Kogi State. They are mostly headed to Abuja and you will have to alight on the route to Abuja in Okene, Lokoja or wherever you are going to. I checked with two companies, Chisco will set you back 8,000naira while Peace Mass Transit costs 7,000. There are other companies, some guy took me to a smaller company which had 5,500naira fare to Kogi but this was by night and I really couldn’t do that. 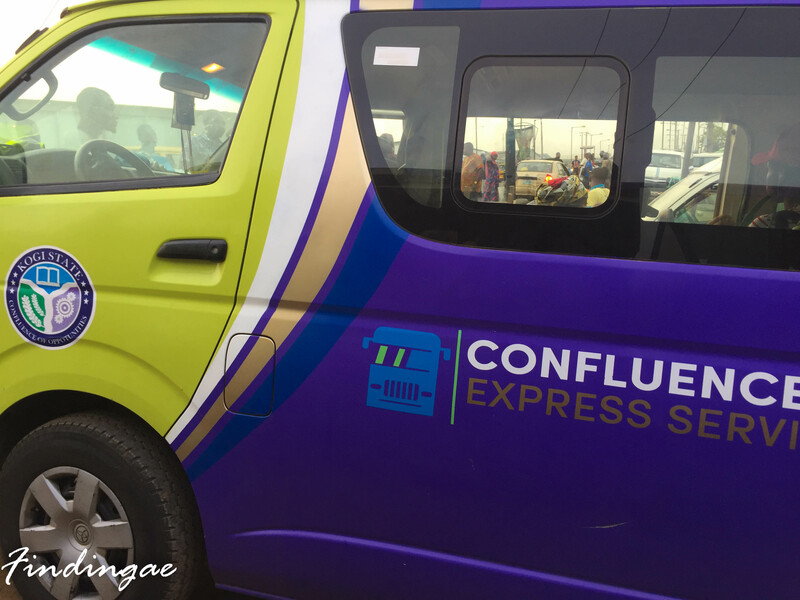 The other option which I took and recommend is to go to the Confluence Bus motor park. It is a carrier owned by the current Kogi State Governor located at Mangoro bus stop at Agege. If going my public transport, make your way to Oshodi under bridge, take a bus going to Agege tell the bus driver you get off at Mangoro. Confluence Bus goes directly to Lokoja and if you are headed to Okene or any other part of Kogi State, discuss this with the driver. He will definitely make a stop for you. It cost 3,600naira for a one way trip, the buses are pretty decent, no air conditioning but it was value for money. The journey took 7 hours. We left Lagos park at 8am and I got to Okenne at about 3pm. Those headed to Lokoja would however have had 2hours extra of driving time. 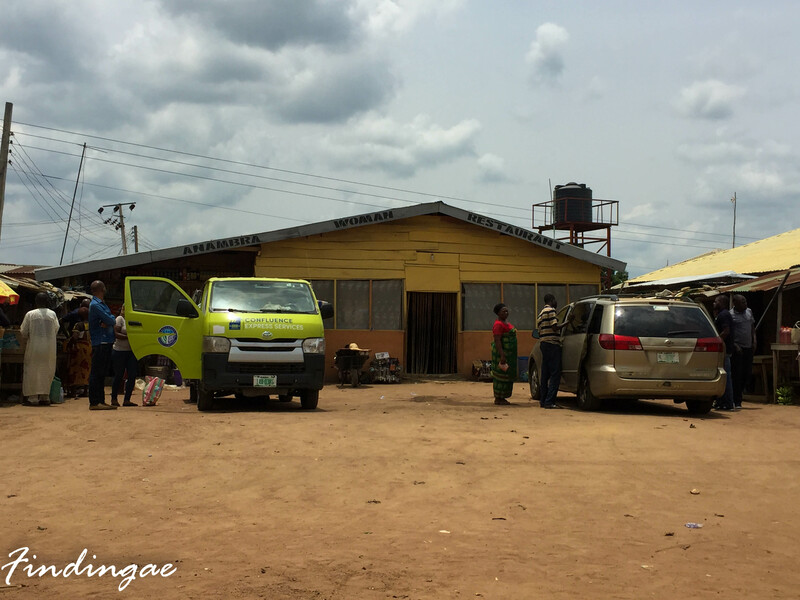 This included our Food stop and bathroom break at the Anambra Woman Restaurant. I did not eat at the local restaurant hence, I can say nothing about it but I heard no complains from other passengers, I guess it was probably okay. I try as much as possible to limit food intake on road trips. I hate when passengers call for unnecessary stops and would definitely hate to be the one who does. I used the local bathroom 😳 and it costs 20naira. 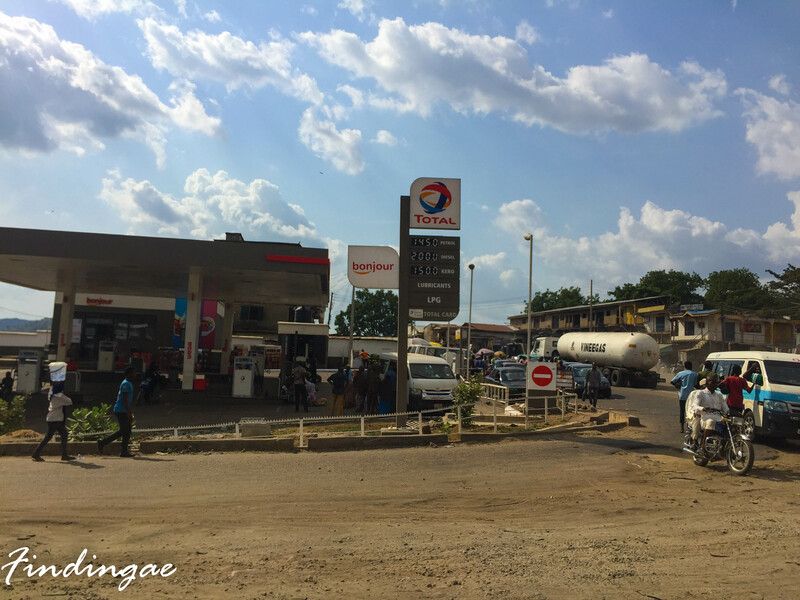 If you are headed to Okene like I was, the driver will most likely drop you at the Total filling Station which is at the Town center, from here you can get a Cab (Uncoloured Taxi) or a bike to get you to your final destination. The bus then continues with other passengers to Lokoja. 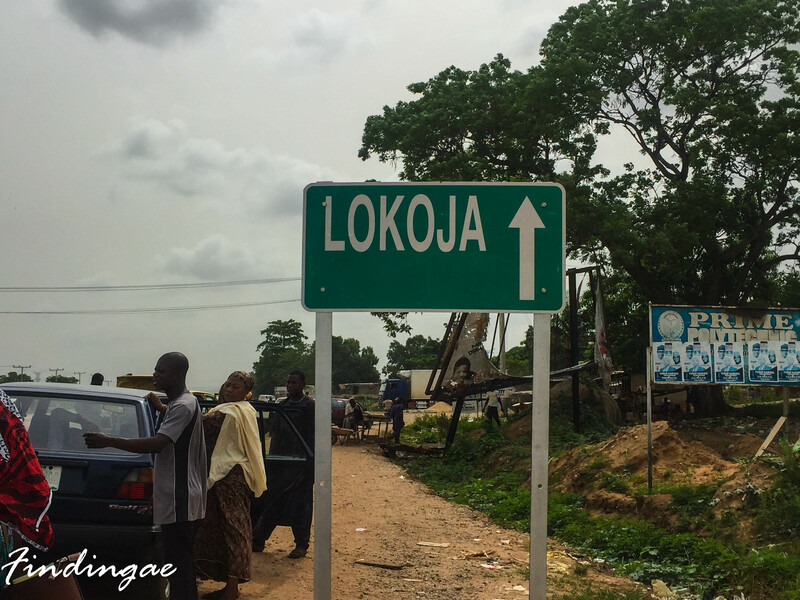 At, Lokoja, there are pale yellow Taxis which you can hail and which will also convey you to your destination. Motor bikes however, give personalized service and are the fastest means to move around. They would usually drop you in front of where you are headed. Did you find this useful? Do not hesitate to let me know in the comment section. Woooooow, its lovely and the info is superb. Yes confluence Transport was a saving grace. Amen! Thanks Jemmy. This was very informative and actually left no detail out. Great job. You just gave an answer to my question as i was surfing the net for the bus park of the kogi state transport (confluence express) in Lagos. 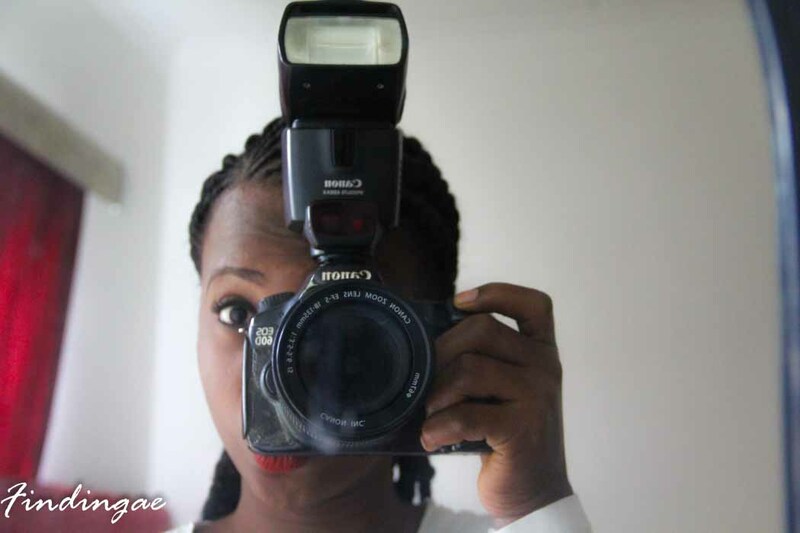 Hi Damilare! Thanks for letting me know I was of help. Safe Travels dear! Hi Gray, Apologies for just responding. It should. Hi Temitope, from Igando, you can find your way to Oshodi from which the directions in the post should help. If you need further clarification. Let me know. Hello sir, thanks for the info it serves as a relief, but going to idah from okenne, shouldnt be difficult?? Hi Seun, It should not be, you can definitely get more information from the bus park. Thank you so much for this.. I’m applying into an innovation lab and by God’s grace when I get in, I will be heading to Lokoja. This is so useful. Hi Bibi, best wishes. I am glad you found this useful. Thanks for taking time to comment. I want to travel from Lagos to Kogi State University and I’m in surulere.. How do i get bus and where to get please. Hi Briggs, you can get a bus from surulere to ojuelegba under bridge, you will get a bus to oshodi. You can then follow the directions in this post. My question is: 1. Is there any particular day you load or you load everyday. 2. What is your departure time? 3. What is your arrangement for the new corpers just posted to Kogi state, and will start going from tomorrow? Hi Albert, I laughed a liitle at your questions but I would try to help as much as I can. So, I am a blogger, I do not work with the transport company. I went on this trip and put out the information for others who might want to head there as well. However, the buses start loading early in the morning at about 6am and there is a bus every time the previous one gets full. I cannot make arrangements for corpers. I suggest you head to the park and find out from those who work there. Hi Toy, I do not work with the company and unfortunately unable to help . Instead of coming to Lagos, there might be other buses or transport companies. You just have to do a bit more research. Hi Daniel, I am unable to provide this information, I am sure the drivers at the bus park will be of help. Thanks Victor, however, I am a Miss. Absolutely priceless information! Just found out I needed to be in Lokoja in about 4 days and I was struggling with the prospect of having to travel down to Abuja first. Apologies if this may sound presumptuous but what suggestions would you have for a traveler who does not like to compromise his comfort (Air conditioning and leg room) or is this Mangoro option simply the best? Also, I’d very much prefer a transport company that would drop me off at a motor park and not just “on the way”. I am a lazy millennial so for some reason, I cannot seem to find the information myself. Thanks in advance. The buses do not have Air Conditioning but I didn’t feel the least bit uncomfortable. The roads were not dusty, so it was fine. The transport company gets to the park in Lokoja. If you have any other questions. I am here to help out. Thanks girl, for making this information available. Thanks for taking out time to drop a comment.